It was only supposed to be a pit stop, but some 7,000 US troops taking part in mass NATO drills nonetheless managed to deplete some bars and restaurants, in Iceland’s capital Reykjavik, of all their beer. The troops stopped in Iceland over the weekend while on their way to Sweden and Finland for a 300,000-strong NATO exercise. In total, some 50,000 of the forces participating are US troops. 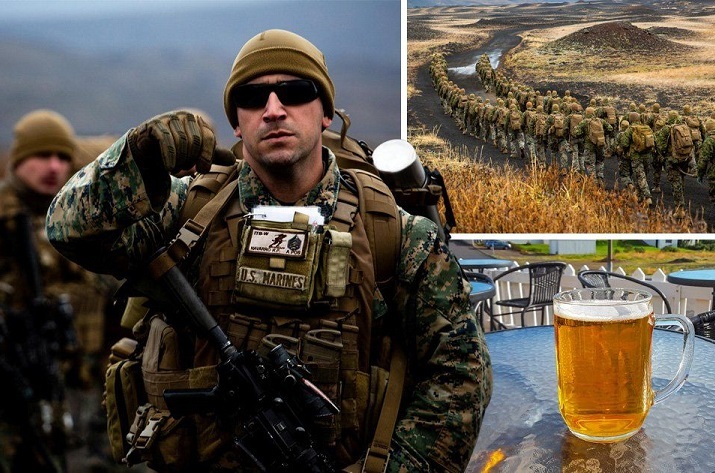 But, apparently unconcerned about moderating their intake of booze just before Trident Juncture 18, thought to be NATO’s biggest military exercise since the Cold War, the troops plunged several bars in downtown Reykjavik into a state of emergency as they went nuts on their beer. US soldiers were not satisfied with just any beer and specifically requested the local one. So, Brewery Olgerð Egils Skallagrimssonar, which makes the popular Icelandic Gull, had to send emergency supplies to various bars, according to local news site Visir. The NATO exercise is intended to send “a clear message” to residents within its member states, as well as opposing countries, that it is “ready to defend all allies against any threat,” its secretary-General Jens Stoltenberg told Radio Free Europe on Wednesday. Drills will include roughly 65 naval ships, 10,000 vehicles and 250 aircraft. WTTC today announces that global leaders from the Travel & Tourism industry will meet at the first WTTC European Leaders Forum in Lisbon.